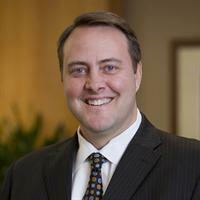 Charlie Brandt is a partner with Katz, Sapper & Miller. Charlie founded KSM Consulting, formerly part of the Katz, Sapper & Miller Network, in 2008 and served as its CEO through 2019. Under Charlie’s leadership, KSMC grew to a 130-person firm providing technology, data, and management consulting services to clients in both the public and private sectors. Charlie believes in a collaborative approach to identifying the right problems and iterating solutions that lead to successful results. This approach requires creative problem solving and makes enterprise technology solutions available to every organization. With 25 years of experience building, leading, and growing consulting organizations, Charlie enjoys sharing stories of client success throughout the country. Charlie received a Bachelor of Science degree in decision sciences from Indiana University’s Kelley School of Business. Outside of the office, Charlie has spent significant time advancing the technology sector in central Indiana, and he participates nationally in thought leadership regarding the delivery of successful enterprise technology projects.